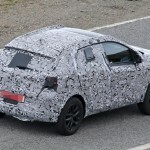 The Ford Focus ST hot hatch is scheduled for a reveal very soon and Ford engineers have been testing the car round the clock. 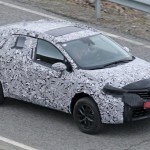 Motor Authority managed to get some snaps of the new car and we can only say that it will be a refreshing improvement from the current model, which is already one of the best cars in the segment. Back in April, Ford unveiled a new generation of its ever-popular Focus. The US should’ve gotten at least one variant of the compact car, a soft-roader called the Focus Active that will be manufactured in China. But thanks to new tariffs imposed on Chinese-made vehicles, Ford dropped the plans and we’re left wondering if we’ll ever see the new Focus variants. Ford decided to forego the plan for another reason: the shift toward SUVs, pickup trucks, and commercial vans in North America is permanent. The Mustang will be the only “sedan” that will be on sale in the US beyond 2020. Ford will use its next-generation front-wheel-drive platform for the new Focus. 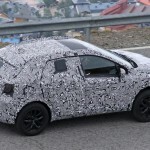 The torsional rigidity of the new cars will be up by 20 percent compared to the outgoing model, which means that the new ST variant will provide a better ride and handling for its drivers. 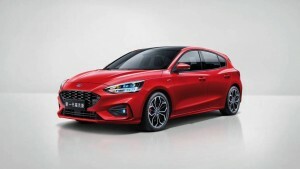 In the cabin, the all-new Focus will get a colored touchscreen at the top of the dash and Ford’s Co-Pilot360 suite of electronic driver aids. There will be some extra special features for the ST such as the Recaro front seats, ST badging, and additional performance options for the driving modes selector. The rumor is that the Focus ST will come with a 2.3-liter turbocharged inline-4, the same one that is found in the outgoing Focus RS. That engine can be tuned to produce 370 horsepower. In the new ST, that will be downgraded to 252 horses since the engine will be paired with a front-wheel-drive system. 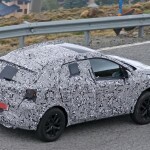 The transmission is expected to be a six-speed manual. Tesla cars are close to being able to drive on their own as the company that controversial CEO Elon Musk started just announced the activation of its Navigate on Autopilot feature. This will allow the car to change lanes and take exits under minimal driver supervision. A couple of weeks ago, Tesla rolled out its 9.0 software, which included a new dashcam feature, games that can be played while the car is parked, and updates to the vehicle’s navigation settings. The update held back one feature: the Navigate on Autopilot. On Saturday though, Musk tweeted: “Tesla Autopilot Drive on Navigation going to wide release in North America tonight.” This brings the company closer to a fully autonomous self-driving car with no driver interference. The Navigate on Autopilot “guides a car from a highway’s on-ramp to off-ramp, including suggesting and making lane changes, navigating highway interchanges, and taking exits.” The system is designed to allow users to find and follow the most efficient path to their destinations. 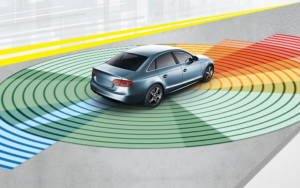 And while drivers must always be attentive when using Autopilot, the system adds another layer of security by ensuring that drivers are paying attention since the lane-change feature won’t work without a driver confirmation. With eight external cameras and radar and ultrasonic sensors, the Navigate on Autopilot “provides an additional layer of safety that two eyes alone would not have,” a statement from Tesla said. The introduction of the Software Version 9.0 allowed Tesla to collect performance and safety data at scale based on real-world driving. The data collected was used to configure the features of the Navigate on Autopilot. New Volkswagen crossover SUV will sit below the Tiguan. It’s not the T-Cross. It’s not the T-Roc. 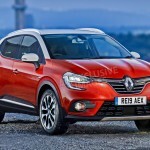 Volkswagen is planning another subcompact crossover SUV for the American market and it will sit below the Tiguan. 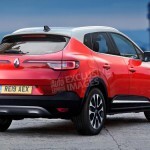 From the looks of it, this new crossover will be specifically designed and engineered for the American market, which failed to get its hands on the T-Roc or the T-Cross. The new crossover SUV should slot below the Atlas and the Tiguan, two of Volkswagen’s latest small crossovers. 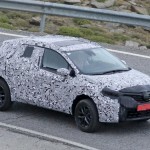 In this increasingly popular class, the new SUV will compete with the Honda HR-V, the Jeep Renegade, and many others. It should use the MQB platform that was utilized for VW’s entire lineup at this point. Power should come from a turbocharged four-cylinder partnered with either a front- or an all-wheel drive. 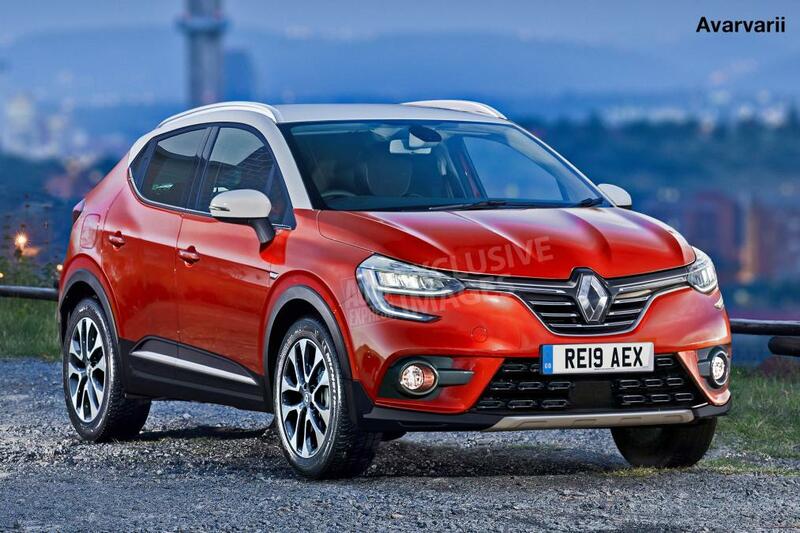 The T-Cross and the T-Roc could give some indication of what this new crossover will look like—or at least, how it will be sized. Volkswagen doesn’t think so, though. Most subcompact SUVs in the US measure between 165 and 170 inches long. Both the T-Cross and the T-Roc are not proper references because of their size. 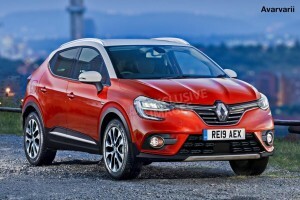 The T-Cross, which is based on the Polo, a hatchback that is smaller than the Golf, is only 161.8 inches long. It is nearly two feet shorter than the Tiguan and shorter than other cars in the same segment. 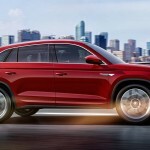 The T-Roc is sized similarly to the Golf but Volkswagen still does not think this is a good basis for the American-bound VW crossover since it is only 166.7 inches long. From this, we can surmise that the new VW subcompact SUV for the American market will be larger than the two existing models. You may have to wait a little longer to get your hands on this new model because VW said it won’t be launching next year. It should be ready sometime in 2020. 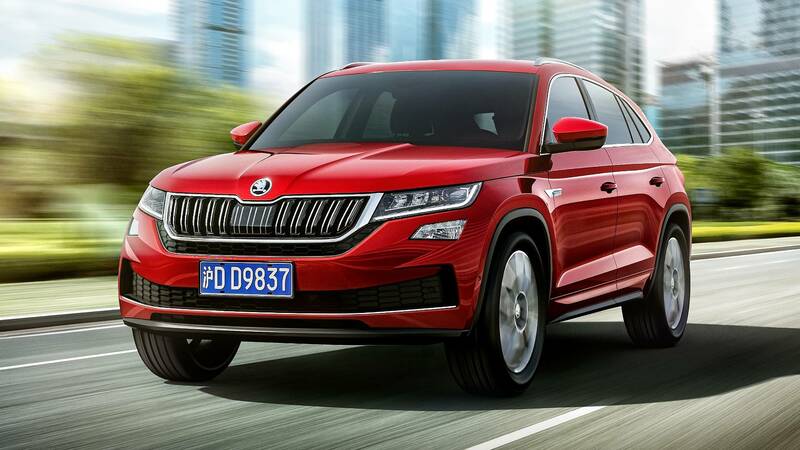 The 2019 Skoda Kodiaq GT will be exclusive to the Chinese market but it’s worth taking note what the Czech company changed to make this a perfect fit for the auto industry’s largest market. The Kodiaq GT is destined to be the brand’s flagship product in China but even with the GT badge, it produces a measly 217 horsepower, which is really enough for Beijing’s uber congested highways. 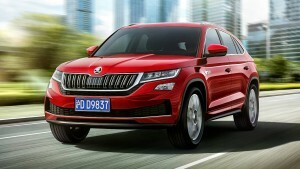 So far, all of Skoda’s releases in China have been SUVs—the Kamiq, Karoq, Kodiaq, and Kodiaq GT. The Kodiaq GT is, of course, based on the standard Kodiaq. There are a few noticeable changes on the body, though—a wider bonnet and a split, 12-slat, blackframed grille with chrome-plated dual ribs. The LED headlights and LED daytime running lights use the same unit while the fog lamps are placed higher than the conventional setting. The roofline has a steep slope at the back, which might be a problem for the headroom inside the cabin. 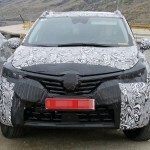 There’s also a prominent crease that runs from the headlight to the taillight while the side skirts are dressed in black plastic. The Kodiaq GT has a dynamic side profile, thanks to the merging of the roofline and the flat tailgate. Inside, the cabin is dominated by the waterfall center console fitted with knobs and buttons that the driver can reach easily. 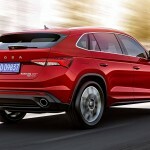 The “Virtual Cockpit” is fully customizable, Skoda said, and the car will always be connected, thanks to a slew of connectivity features such as Wi-Fi access, Apple CarPlay, MirrorLink, Baidu’s Carlife, among others. The SUV gets a 2.0-liter TSI petrol engine that makes 184 horsepower. That engine is paired with front-wheel drive and a seven-speed DSG automatic transmission. The same engine is available in a different configuration that makes 217 horses and pairs with an all-wheel-drive setup through a seven-speed transmission. As for safety features, the Kodiaq GT will come with Blind Spot Detection, Adaptive Cruise Control with stop-go functionality, Front Assist, and many more. The Kodiaq GT should be priced between $4,000 and $5,000 higher than the standard Kodiaq. 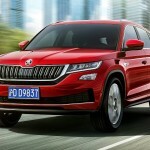 Skoda plans to introduce it at the Guangzhou Motor Show this month. The Federal Bureau of Investigation (FBI) is investigation electric-vehicle-producer Tesla for possibly misstating information about Model 3’s production going back to early 2017. The FBI is probing documents to see whether Tesla was capable of producing the numbers announced by its CEO Elon Musk in 2017. The report from The Wall Street Journal, which cited unnamed sources “familiar with the matter,” said that the criminal probe will involve comparing Musk’s pronouncements with the company’s manufacturing capability back in 2017. Specifically, the bureau wants to know if Musk made predictions and projections he knew the company wouldn’t be able to meet. This news comes after a separate settlement of civil charges between the US Securities and Exchange Commission and Tesla and Musk. According to the same report, the FBI investigation has gained steam since then and has now asked former Tesla employees about the company’s production capability in 2017. The investigation is being headed by the US Attorney’s office in San Francisco. Tesla Model 3’s production was launched in July 2017 but the company was only able to build 2,700 units in the whole year, including the 793 models it produced in the final week. It was only able to reach its goal of 5,000 units in June of this year but has since eased off that pace. Bloomberg has its own Model 3 Tracker and it currently estimates that Tesla is building 4,562 units of Model 3 every week, bringing the total produced to 111,315 units. In an email to Autoblog, Tesla admitted that the Justice Department requested documents pertaining to the public guidance for the Model 3 ramp. It did not specifically address the issue about the FBI probe. The statement said that the company has not received a subpoena, a request for testimony, or any other formal process. The Justice Department did not request additional documents, too. And while Tesla gets criticized for the delay in reaching its goals, the statement reminded everyone that the company has completed some ambitious goals that most doubted. 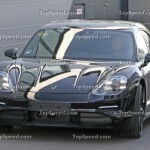 The Porsche Taycan all-electric model will have several versions, one of which is certainly going to be an estate or wagon and it will be called the Sport Turismo. What separates the Sport Turismo from the sedan model are the bigger boot capacity, more practical features and more space. There are a lot of expectations for the Taycan Sport Turismo since it’s technically the only rival that Tesla’s Model S has in this particular segment. There will be no crazy design on the Taycan Sport Turismo. 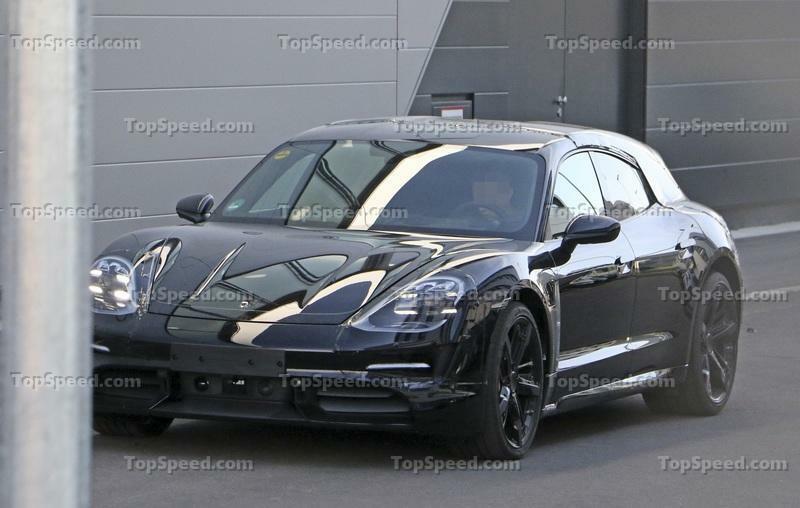 From the looks of it, the model will be one of the prettiest wagons ever made and thanks to it being an all-electric and high-performance Porsche, the Taycan Sport Turismo should be a trailblazer in its segment. The front will look like the Mission E-Cross Turismo concept though with a cleaner overall look and lower ride height reduction. The rear will look similar to the concept, too, but the lights should look like the pairs found on the Panamera or Cayenne models. The interior will be closer to the Panamera with a bit of the elements found in the concept, which has a total of four screens. The production version might only have two or three screens and it will definitely have more physical buttons than the concept, which has none. For one, it will have a dedicated hazard button, which is mandated by law. 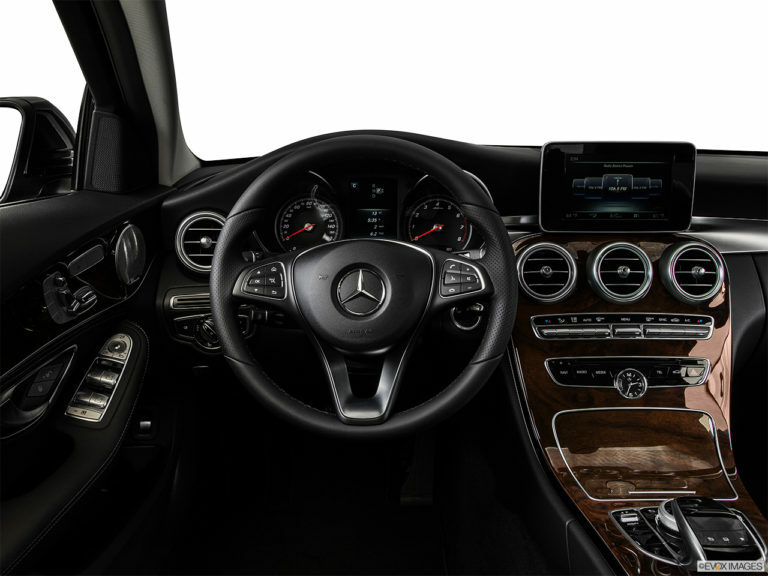 The cabin should be spacious enough for a driver, a front passenger, and two passengers at the rear. But since there won’t be a big transmission tunnel running in the middle, a third passenger at the rear should be able to sit comfortably. 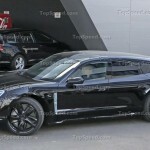 The Taycan models will arrive with several power and/or battery pack options. Power outputs will range between 400 and 600 horsepower. The basic Carrera model might only be offered as a rear-wheel drive, though all-wheel drive should come as standard. 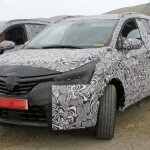 The range is pretty good at around 310 miles or 500 kilometers on a single charge. This will be the maximum range for the largest battery pack. Remember those driver-assist tech options that you oh-so willingly agreed to when you bought your car? Well, it looks like they are going to cost you more in terms of repair and maintenance. A study by the AAA found out that the average cost of repairing those fancy cameras and sensors was about twice that of cars without them. 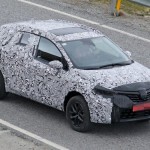 To determine this, the organization examined three 2018 model-year cars with a large amount of safety assist systems: the Nissan Rogue, the Toyota Camry, and the Ford F-150. They also researched the costs of the parts and the costs to properly install these systems. These two aspects are expensive because the components are pricey by themselves and the installation has to take more time because of the sensitivity of the systems thus, there are more labor costs. It is significant to install and calibrate the systems properly so they can perform their functions well. Sensors and cameras ended up costing anywhere between $500 and $2,050 each. That amount is only for one type of sensor. 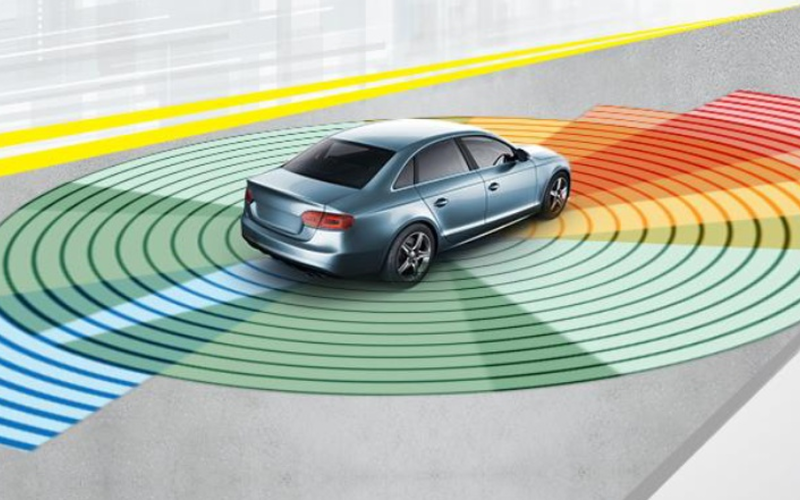 If your car has plenty of safety systems, it will likely have different sensors all in the same areas. This means that a simple fender bender can cost you dramatically. A light tap at the front can damage your ultrasonic parking sensors ($500 to $1,030), the front camera for your parking screen ($500 to $1,100), and radar sensors for adaptive cruise control ($900 to $1,300). Windshields with sensors behind the glass are naturally more expensive, too. The windshields, after all, have to meet higher standards for clarity to ensure that the cameras will get to see through them. In the event of a damage, you will also have to recalibrate those components, which the AAA said could cost $1,200 to $1,600. Of course, these are not meant to dissuade you from signing up for a lot of these safety tech features. In many cases, these systems can prevent fender benders, collisions, and many more. The features are worthwhile, but be prepared in case the systems get damaged. I can’t tell if you’re serious or not. That seems…oddly specific, especially being 10 months from now. Now that Elon Musk has approved the production of a prototype of the Tesla Model Y, we can, therefore, proceed to expect the mass production to begin sometime in 2020. There’s no word on an official date for the debut but if Musk’s tweets are any indication, it looks like we’re going to see the prototype by the middle of next year. Model Y’s production has been delayed because Tesla apparently was not starting new vehicle production to first achieve GAAP profitability. During the earnings call, the electronic vehicle company announced that it achieved a $312-million profit during the third quarter of 2018. It is not yet clear where Tesla plans to build the Model Y, though it is very possible that it can share the assembly line with the Model 3 in the automaker’s Fremont factory. Both cars will share the same platform. However, since the Fremont facility is nearing its capacity of 7,000 vehicles per week, it is very possible that Model Y’s production could move someplace else, possibly even China, where Tesla has a new Gigafactory in eastern Shanghai province. The facility will be built on a 534-square-mile land and it will cost around $2 billion. 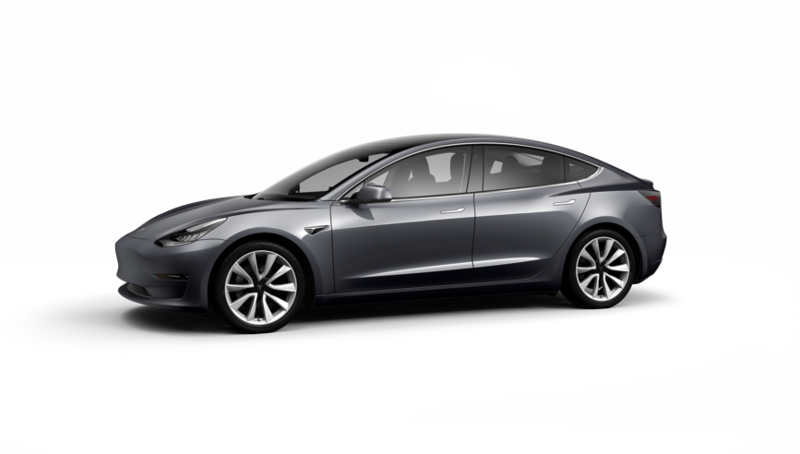 Tesla increased the price of its recently announced mid-range Model 3 by $1,000, bringing the new total to $47,200 from $46,200. This is not a major price hike, but it’s unusual to increase the price of a car only a few days after it goes on sale. The long-range dual-motor Model 3 will still start at $54,200, including destination fee while the mid-range rear-drive Model 3 will sell for the new price tag of $47,200. If you visit Tesla’s online configurator, the price change is live there. It was just last week that Tesla announced the sale of the mid-range Model 3 in a bid to make the electric vehicle accessible to more drivers. It did not specify a reason for the price increase, though. The mid-range Model 3 has an estimated range of 260 miles and can run from 0 to 60 mph in just 5.6 seconds, or so at least it claims. During the conference call for Tesla’s third quarter financial results, in which the company posted positive sales margin, Musk said that the base model might arrive in six months. Or at least, that’s the timeline the Tesla CEO has given us for now. Previously, Tesla said that the base version of the Model 3 will be available as soon as four months but it looks like the plan will be delayed once more. The company will also have to completely redesign a battery pack for the $35,000 Model 3 instead of repurposing a bigger battery like what they did for the mid-range model.